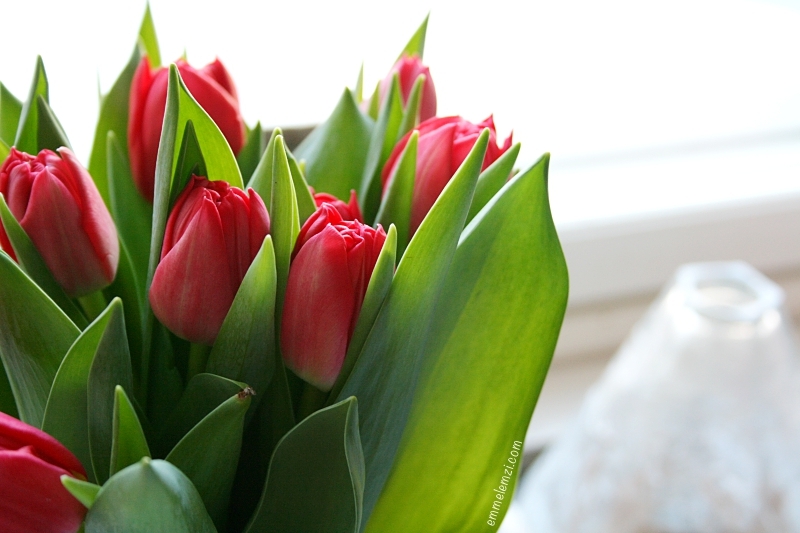 Emmelemzi.com: Long live the tulips! 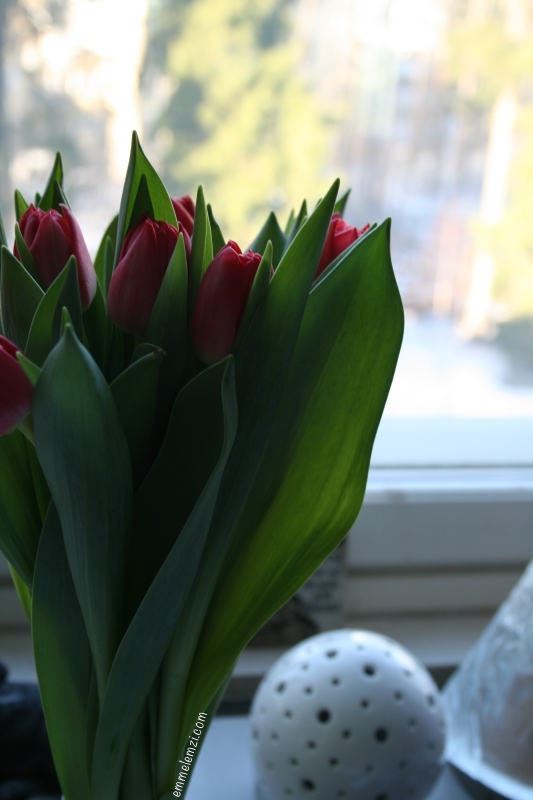 Last Tuesday I got some flowers for no reason at all and I wasn't expecting to get any. I wasn't the one that was supposed to get any flowers that day. But I did end up with them anyways and I am totally not complaining. Everyone loves getting flowers and I am totally not a exception. I wish I could buy flowers all the time for myself and have some on my kitchen table. It would just be so great! 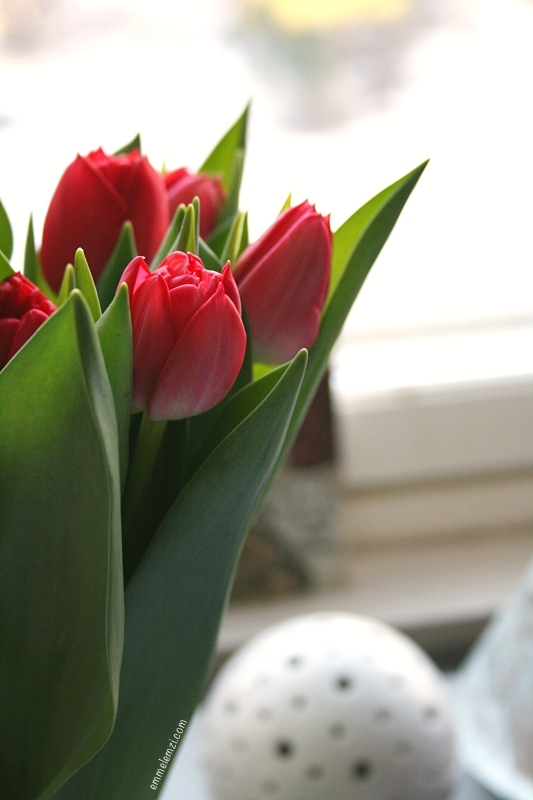 Now my messy apartment has pretty tulips to brighten it up and I feel very bad over the messy state it is in. I really need to get to cleaning tomorrow. And I totally will! That is a promise!